Welcome to Deep River, Connecticut, and the home of the Deep River Merchants Association. We’re a small New England town full of pride and a strong sense of history and community. Nestled alongside the Connecticut River, Deep River has the charm and warmth of the quintessential New England town while surrounded by the natural beauty of Southern New England and the Lower Connecticut River Valley. Once considered the Queen of the Valley, we are now one of the best kept secrets along the Connecticut River. Come visit our renovated Main Street where our small shops, galleries, eateries and other local businesses offer a diverse wealth of quality products and services. Or just spend the day relaxing and strolling in the park or enjoying the peacefulness of the river front. There’s something for everyone in Deep River. Whether you’re searching for a home, looking to explore or getting a bite to eat, this is your online resource for Deep River merchant and service information. 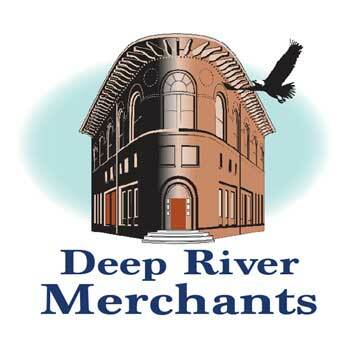 We look forward to extending our small town hospitality and excellent services to you and thank you for stopping here at the Deep River Merchant website. Simply select a category below to start exploring our local merchant community … enjoy your visit!